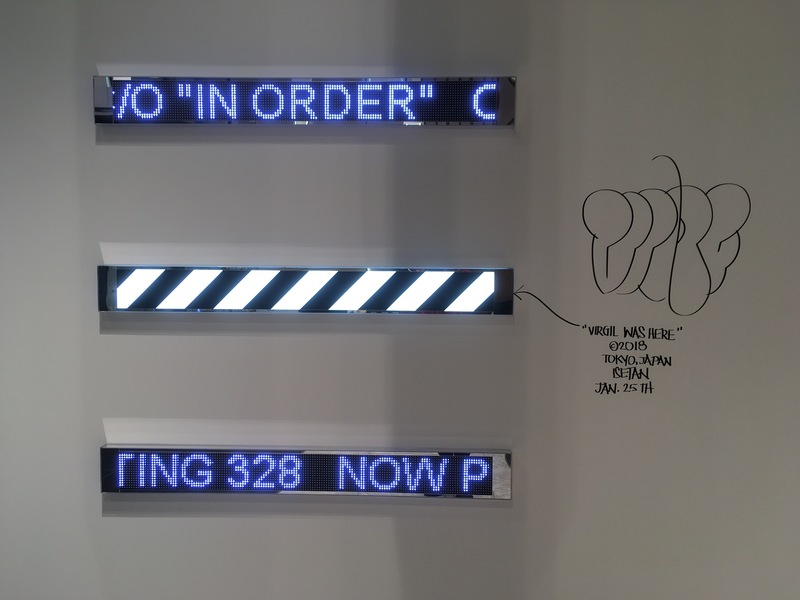 After his stint with Murakami at ComplexCon, Virgil Abloh (or see Fader interview here) will soon have a show at Murakami’s Kaikai Kiki Gallery in Roppongi. Who knows what to expect as the King of Superflat and the Titan of Stencils team up for another collaboration? 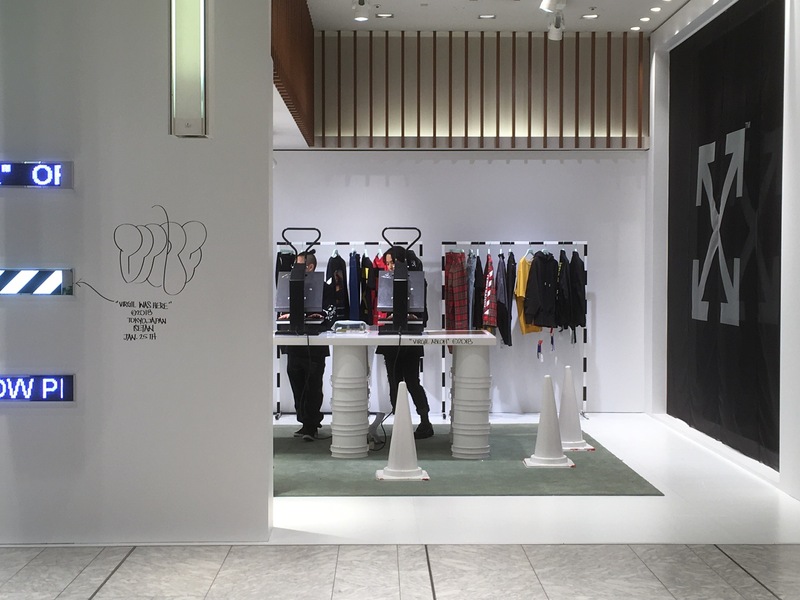 Perhaps the Off-White Shinjuku Men’s Isetan Pop-Up shop offers a few clues. You’ve seen it hyped on Hypebeast and Highsnobiety and Above the Sole simply as announcements without any coverage whatsoever. 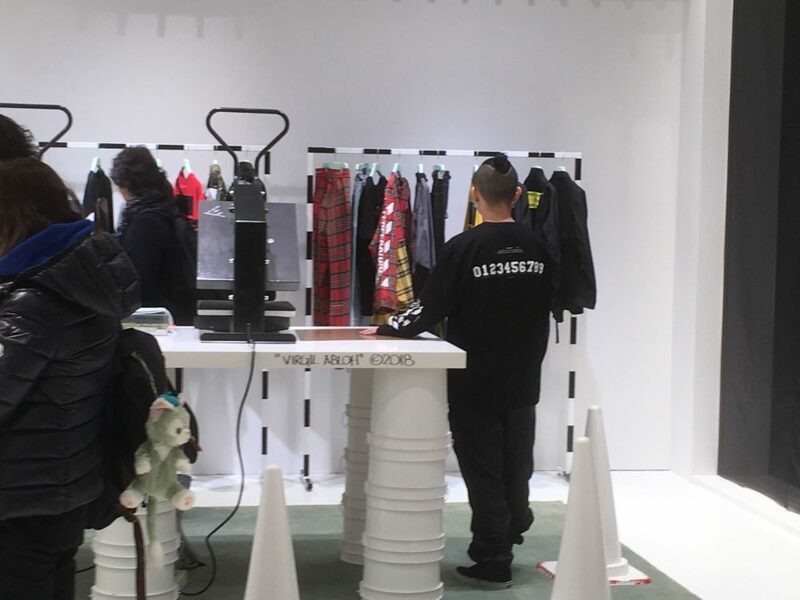 Sugimoto68 now provides a brief peek into Abloh’s Off-White Pop-Up shop. Off-White gives the quintessential WYSIWYG experience. Although the photos provide only a glimpse, that’s pretty much the whole shop. Comely shop help, ready to man silkscreen presses for adorning 36,000 yen tees (roughly $340 usd) with edition numbers. A sample of the gear available: Champion tees for 36,000 yen, sweatshirts for 58,000 yen ($540 usd) and jackets starting at 244,000 yen ($2300 usd)–I didn’t price the sweatpants, but you can imagine. It’s straight-up Off-White with a mix of the Pyrex stencil and price mark-up concept. While not groundbreaking, Abloh brings a bit of sheik (can we say Afrofuturism?) 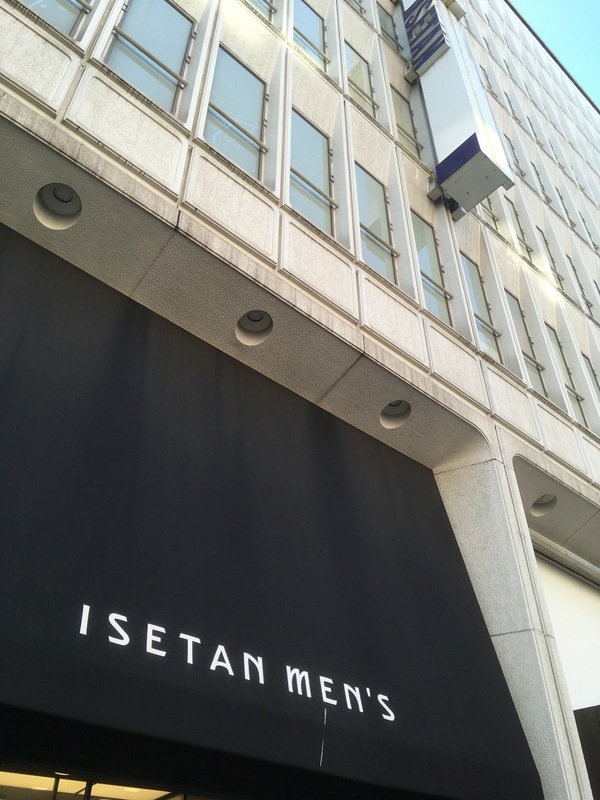 to his current Shinjuku Isetan Men’s sale. Let’s see what he and Murakami brew up at Kaikai Kiki Gallery next month.